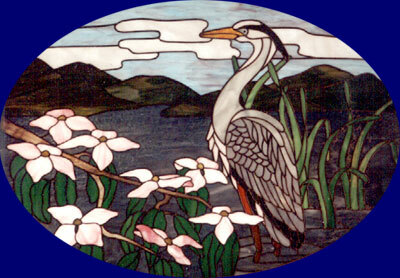 A strong blend of drawing, painting, and sculptural elements are found in my custom stained glass work. 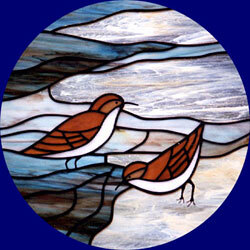 Design inspiration comes from the birds, wildlife, woods, gardens, and sea where I live in Maine. 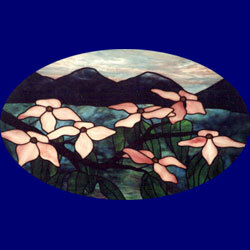 Pieces are designed working closely with my customers, with prices based on size and complexity. 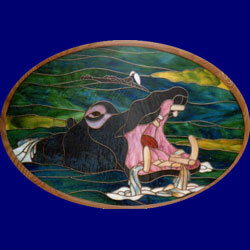 All pieces that I design are usually constructed using the copper foil technique. I prefer the finer line and increased detail achieved by this method. I often combine antique wood details, stone, sea glass, shells, and other found objects in my work. Read more about the artist. 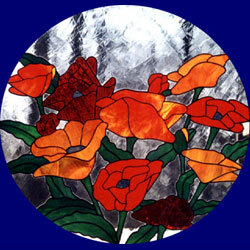 Contact Tamara’s Custom Stained Glass to discuss what we can create for you! 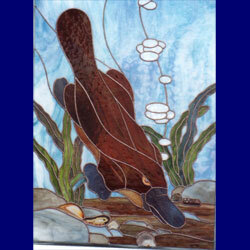 See previously completed custom designed glass pieces. Consider a custom designed piece as that unique wedding or other occasion gift.